The LPC3250 OEM board is suitable for applications that require high performance, high integration, and low power consumption. Compact form factor, 68×48 mm, using the proven SODIMM connector. The LPC3250 has a ARM926EJ-S core and was designed for low power, high performance applications. 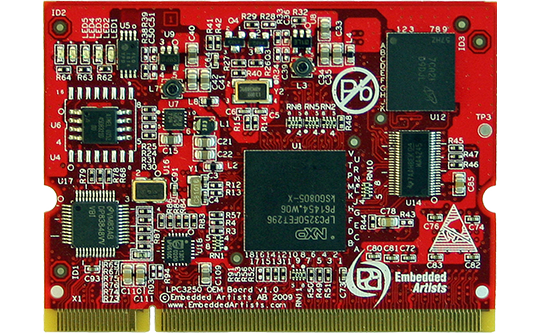 The LPC3250 OEM board is available in commercial temperature range, 0 to +70 degrees Celsius.